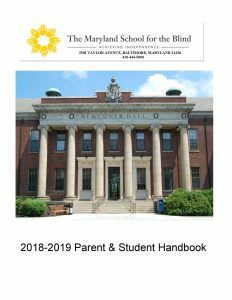 The Maryland School for the Blind’s Family Support Services’ goal is to provide support, information and resources on disabilities and community services for families of children with visual impairment. Our monthly Informational Parent Webinars are free webinars presented by MSB and our community partners focusing on topics and resources available to students with visual impairments and their families.These webinars are live streamed and also recorded for future viewing on MSB’s YouTube Channel. Join us for our May webinar on Monday, May 6 at 11:30 am. This webinar is focused on the IEP process for Spanish speaking parents. “IEP basics and your rights as a Spanish speaking parent.” Learn about the IEP which guides the education of the blind and low vision students and what you can do to advocate for your child, what rights you have, and how to make sure your child has the best educational experience possible. “Conceptos basicos de un IEP y sus derechos como padre que habla espanol” Obtenga informacion sobre el IEP que guia la educacion de los estudiantes ciegos y con baja vision y que puede hacer para abogar por su hijo, que derechos tiene y como asegurarse de que su hijo tenga la mejor experiencia educative posible. Parent support group meetings can be held on the MSB campus or regionally. 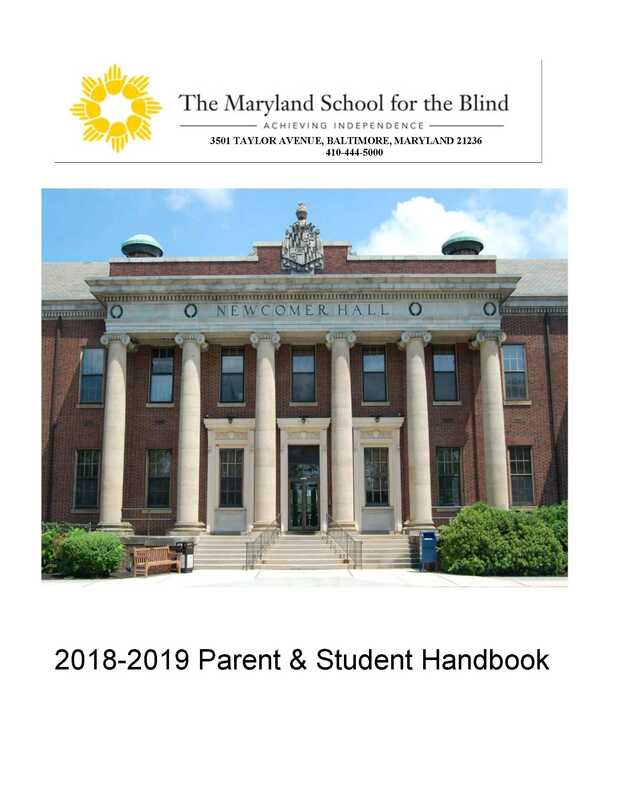 Contact Renee Kirby, Parent Coordinator, reneek@mdschblind.org if you are interested in organizing a group in your area. MSB wholly supports parent involvement with students and welcomes parents who wish to observe their children in class. The process is simple. Please arrange for an appointment by contacting your child’s teacher or related service provider before visiting. Please use email rather than text messaging. These guidelines will help to ensure that the time that you invest in coming to MSB will be time well spent, avoiding any field trips or other activities when students wouldn’t be in the classroom. They also help to reduce interruptions for our teachers and students. Thank you for adhering to these policies and we look forward to your visit. 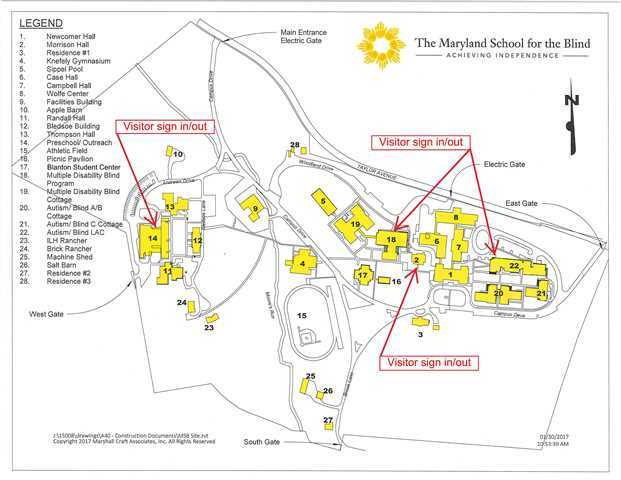 Please see the Campus Map for specific locations. Get 3 free braille books for your child!